We just covered another Harry Palmer strip recently, Twas Ever Thus, and Alex Jay did his Ink-Slinger Profile. 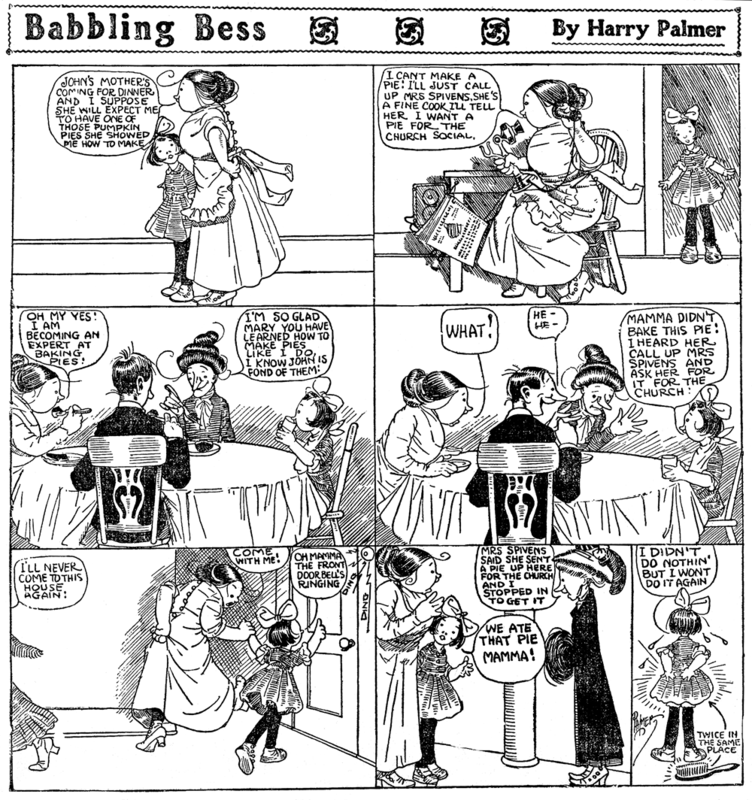 But like a bad penny, Palmer has shown up on my radar again, this time with by far his longest running creation, Babbling Bess. This strip ran in the New York Evening World for a very long engagement of over two years. Why it ran so long is a mystery to me -- it failed to include Palmer's trademark pretty girls, and was a one-joke strip to boot. Granted, the art is delightful, and the joke, though now an old one, didn't have quite so much rust on it in 1909. But how many times can Babbling Bess say something out of turn to someone, getting the family in trouble? Lots and lots of times, evidently. 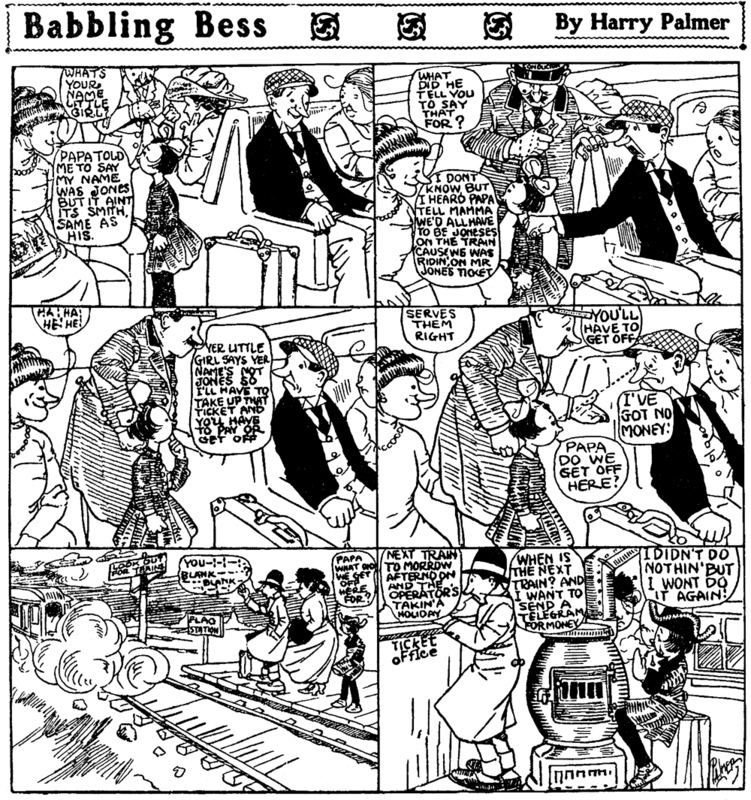 The weekday strip ran in the Evening World on a semi-regular basis from November 11 1909 to April 6 1912. I am struck by how awkward the balloon placement is in the Sunday page Looks almost as if the drawing was completely finished, then balloons were pasted on by someone who tried to cover up as little art as possible.